When Regions Financial Corp. hires people, the company is interested in diversity, and not just race and gender. Alabama’s only Fortune 500 company looks to fill its talent pipeline at its headquarters in Birmingham with local people, but also with individuals from outside of Birmingham and the state of Alabama. 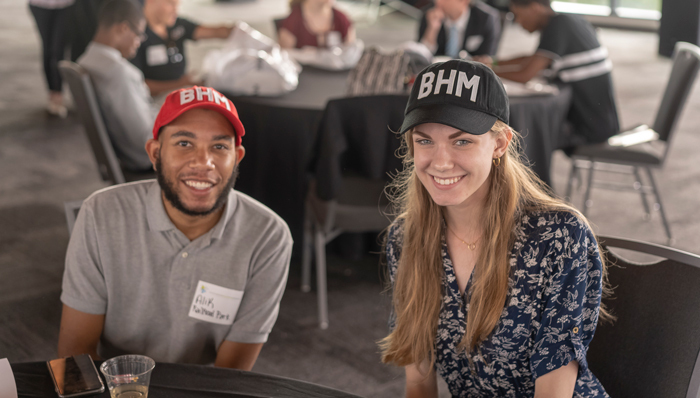 Though the company has an extensive onboarding program for its employees, it turns to the Birmingham Business Alliance’s (BBA) OnBoard Birmingham program to help employees from other cities, states and countries feel at home in the Magic City. The BBA’s OnBoard is a five-month leadership development program for young professionals that seeks to address a retention issue, which was highlighted recently in the Building (it) Together report, which stated that talent typically leave Birmingham between three to five years after arriving, many because of lack of opportunities. Now in its fifth year with a cohort of over 70 young professionals aged 24 to 35, OnBoard participants learn the history of Birmingham, are immersed in the city’s culture, network and serve the community they now call home. All participants are either new or returning to Birmingham. Talent today looks at the job market like a consumer, said Regions’ Studstill. 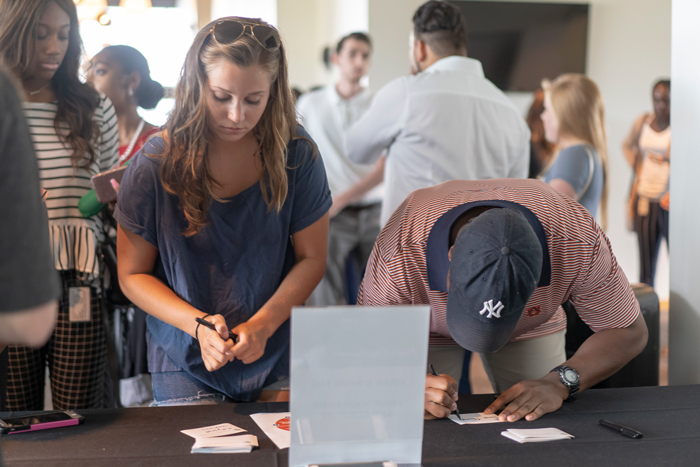 Participants build an affinity for Birmingham, grow their professional network and leverage their talents to position themselves for growth opportunities within their respective companies. The program runs from August to December and includes leadership development sessions where participants will hear from Birmingham historians, business leaders and public servants on the city’s history, revitalization and economy. 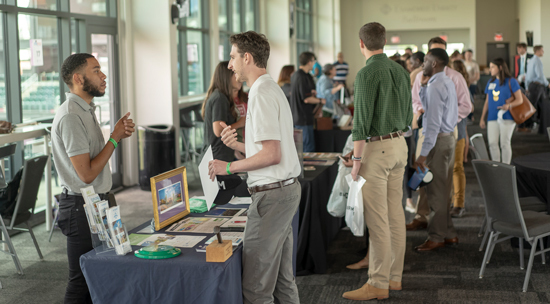 Participants can also attend events held at some of Birmingham’s most popular restaurants, bars and breweries, as well as have the opportunity to serve the community they now call home. This year, OnBoard has partnered with networking app Mixtroz to help participants make meaningful connections with people outside of their company at OnBoard events. At networking events, people tend to gravitate towards familiar faces, but Mixtroz helps people not in the same company or industry start conversations and build relationships with others outside of their immediate network. Over 20 companies are participating this year, including Regions, Encompass Health, BBVA Compass and Southern Research. Participants are employed in industries ranging from education to banking, information technology and health care. OnBoard has served nearly 500 participants in its five years, and Regions has 11 employees in OnBoard’s current cohort. When high-level talent is retained in the city, it’s a win for Birmingham, Smith said.